Biological (or terrestrial) sequestration involves the net removal of CO2 from the atmosphere by plants and micro-organisms and its storage in vegetative biomass and in soils. cover cropping – the use of crops such as clover and small grains for protection and soil improvement between periods of regular crop production. Cover crops improve carbon sequestration by enhancing soil structure, and adding organic matter to the soil. 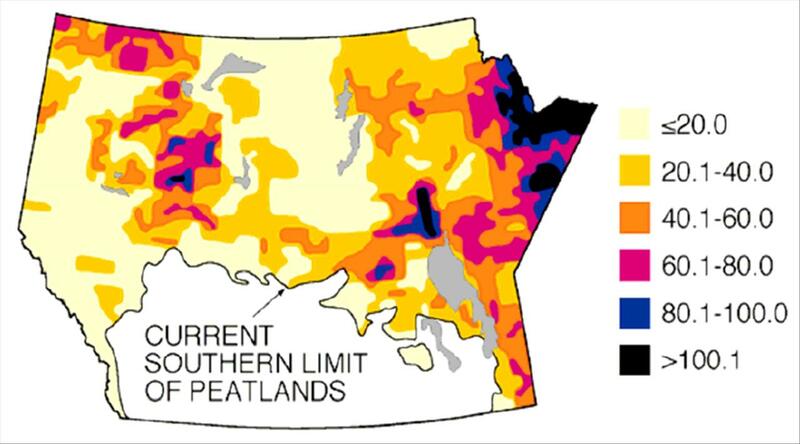 Canada’s boreal forests store as much as 80% of their total carbon in the soils as dead organic matter. (6) Therefore any erosion of forest soil (such as after clear-cutting) increases the potential for release of this stored carbon. According to Natural Resources Canada, reducing timber harvesting in Canada would have very little impact on carbon dioxide emissions. With sustainable forest management, less than 0.5% of the managed forest is harvested in any given year in Canada. These harvested areas regenerate to become forests again, so there is substantial new storage of carbon occurring in the areas previously harvested. Additionally, the amount of carbon released from each year to forest fires and other natural disturbances is about 2.5 times the amount of carbon lost in harvesting. Because growing vegetation absorbs carbon dioxide, the UN Framework Convention on Climate Change (UNFCCC) and the Kyoto Protocol both recognize the importance of forests for addressing climate change. However, Article 3.3 of the Kyoto Protocol calls for the maintenance of forests by afforestation, reforestation, and controlling deforestation (ARD). Afforestation and reforestation credits are obtained, while deforestation is associated with debits. Article 3.4 provides credits for increases in the carbon sequestered by managed forests. Thus, there is a role for forest sequestration under these agreements. Although a role for sustainable forest management (SFM) is not explicitly articulated in the Kyoto Protocol, SFM is recognized in the UNFCCC. The Manitoba Hydro Forest Enhancement Program has been in operation since 1995, funding hundreds of community tree planting projects throughout the province. Thousands of trees have been planted at schools, churches, boulevards, parks and recreation centres, memorials and campsites all over Manitoba. These trees serve to educate, beautify, and to provide erosion control, shade and windbreaks. The Forest Enhancement Program provides a way for people to become involved in their communities and create beautiful and useful green spaces for future generations. The program delivers real greenhouse gas benefits through the biological sequestration of carbon but it was not specifically designed as a carbon sequestration program. Can we save our peatlands?